Being new to social media can be confusing, especially when words like ‘hashtag’ get thrown around and you’re expected to understand the ‘what, when and why’ of it. 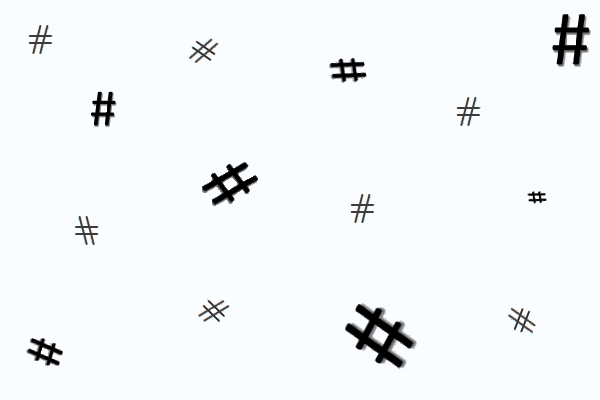 To explain, a hashtag is a word or an unspaced phrase that is prefixed with the hash sign: # that acts as a form of metadata tag in social media. Hashtags group messages together based on common topics. Searching a social network for a specific hashtagged phrase will bring up all the messages that are signed with that hashtag. Their limitation is that they are only connected to a specific channel. So, searching for a hashtag on Twitter will not bring up results from Instagram, unless the Instagram post has also been tweeted. The hashtag is not intended to be used on every word of your post. The point is to highlight a word that is topical and relevant to organize the content and make it easier to find. For example, back when the London Olympics were in full swing, the hashtag #London2012 was used across social media to sort them into a category. Don’t apply the hashtag to words that are meaningless in the context. #The, #I and #Very do not make appropriate hashtags. A hashtag that is too specific and wordy will not be easily found either. #HowDoIFeelAboutThisOMG is not ideal because few would search for this tag. However, many users write long hashtags purely for entertainment purposes. They do have their limitations though. The actor Darren Criss publicly realised that hashtags on the microblogging website Twitter, do not allow apostrophes. This punctuation issue was met with his response: @DarrenCriss So I guess apostrophes don’t work for hashtags well guess what #i’don’t’care’. More than one hashtag can be used in a single message, but that doesn’t mean you should. People view posts with excessive hashtags as nothing more than spam, which ultimately does you and your brand no favours at all. They can be used in an ironic fashion, but to avoid a cluttered mess don’t use more than one or two hashtags per post. Avoid using them in every post you make and don’t use popular hashtags which have nothing to do with your particular tweet or general line of business. You don’t want users to think you’re just jumping on the bandwagon. When it makes sense to use this organizational tool, go ahead. Otherwise let it go. The hashtag has the potential to connect your brand to a popular and visible topic, introducing new users to your social media presence and giving others the opportunity to engage with you. This is important because many accounts look like a human being isn’t behind them. When your account has nothing to add to the conversation, no one will pay attention to it. Simple as that. By crafting a good hashtag, you put your opinion out there and improve relations with the outside world. Twitter may be the birthplace of the modern hashtag and its use in social media, but it’s not the only platform to pick it up. Facebook added hashtag support in June 2013. Predictably it hasn’t picked up momentum there, but considering the process lacks the simplicity of Twitter, this is not surprising. Tumblr by contrast has a special ‘Tag’ box that enables you to enter tags when you create a post. Then the easy search function lets you further browse that tag. Hashtags are used on Instagram to compliment the photos shared with followers, and even Pinterest has enabled the practise to mark and search for content. Whether you like or dislike hashtags, the fact remains they have become a key staple to social media marketing. We doubt they will go anywhere any time soon, so remember: #masterthehashtag.